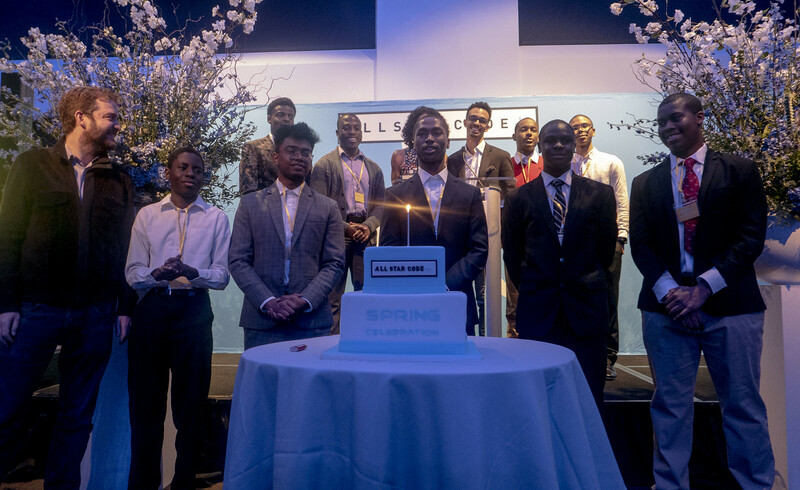 Last Thursday, March 14th, trailblazers in business, technology and entrepreneurship attended All Star Code’s annual Spring Celebration at Current, Pier 59 at Chelsea Piers in New York City. The event raised nearly $95,000 for All Star Code, which will help fund the organization’s educational programs for young men of color. 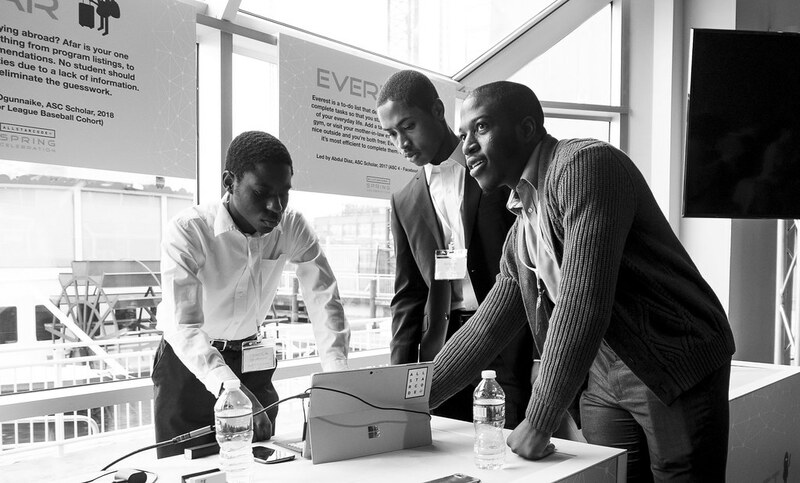 The cocktail event featured interactive demonstrations and Scholar Product Stations by All Star Code students. Innovations showcased included: College Start, a one-stop shop website for college preparation that helps students find scholarship opportunities, internships, connections and more; Inquirix, an interactive web app that provides students with tools to create an individualized study experience that best fits each student’s needs; and M.A.R.S., a nonprofit that provides community service opportunities so students can help clean up beaches, learn about the underwater world and spread awareness of how to make oceans safer for both humans and marine life. 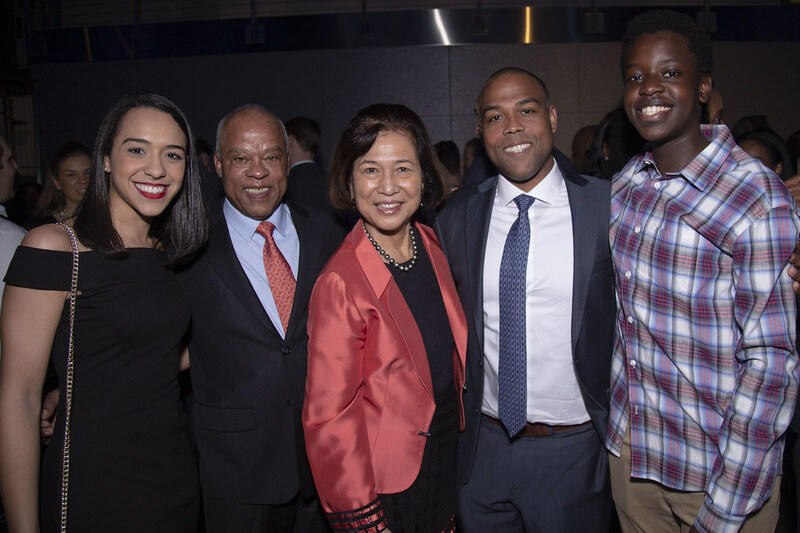 In addition to celebrating the Scholars, John Henry, Partner of Harlem Capital, and star of Viceland’s upcoming docs-series, HUSTLE (executive produced by Alicia Keys), with the Hank Williams Trailblazer Award. Over the past six years, All Star Code has created a powerful, reinforcing alumni network where students can celebrate failures, and promote their successes in a safe space. 95 percent of their college-age students have matriculated to four-year colleges, over a third of which are top 100- ranked universities. Over 80 percent of All Star Code students are majoring in or plan to major in computer science or a related field. All Star Code’s flagship program is their Summer Intensive, a free 6-week program with over 200 hours of computer science instruction and soft skill development, which is designed give high school boys the access and exposure they need to become successful tech entrepreneurs. Through real-world experiences at top tech companies and hands-on, project-based learning, All Stars finish the program with both coding skills and an entrepreneurial mindset. In 2018 All Star Code received over 800 applications for 144 spots in the Summer Intensive. Due to the growing demand, 2019’s program plans to serve 200 young men of color this summer. All Star Code’s summer intensive takes place in New York City and Pittsburgh and serves students from across the country. 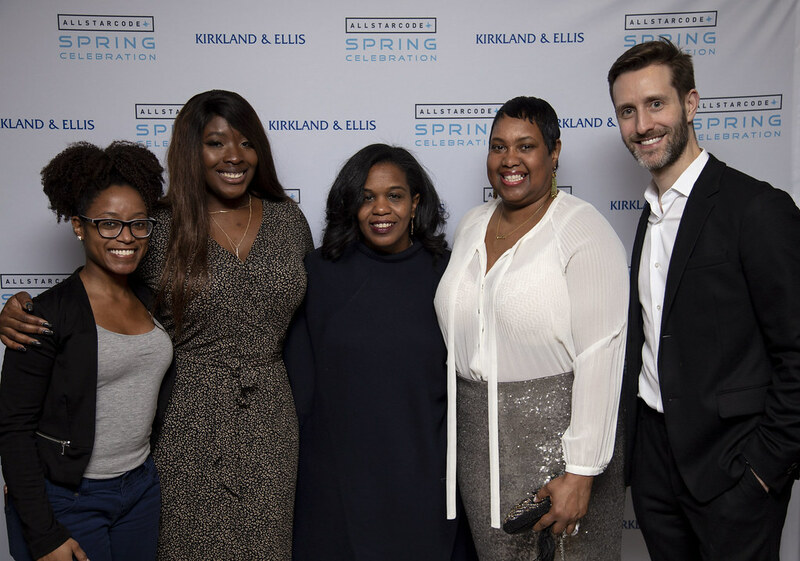 Co-chairs for the event included: Eloise Austin, Elliott Breece, Stephen Catera, Rachelle Hruska MacPherson, Sean Macpherson, Rebecca Morse, Tyler Morse, Nnamdi Okike and Marcus Samuelsson. Additional guests included: Lyor Cohen, Mayor David Dinkins, Sheila Marcelo, Gavin Leo-Rhyne, and Marcus Mitchell. 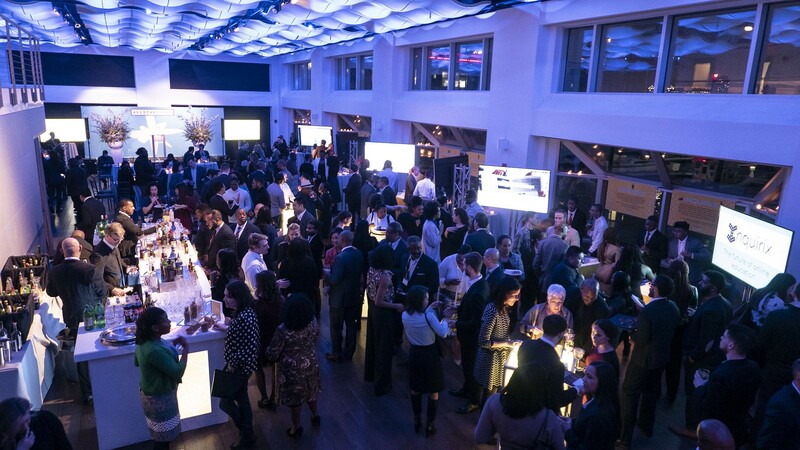 The event was sponsored by Kirkland and Ellis, Google, HBO, MCR Morse, Swarovski and Xandr. 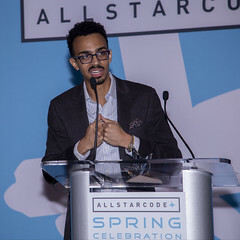 All Star Code is a nonprofit organization founded in 2013, empowers young men with the skills, networks, and mindsets they need to create new futures through technology. 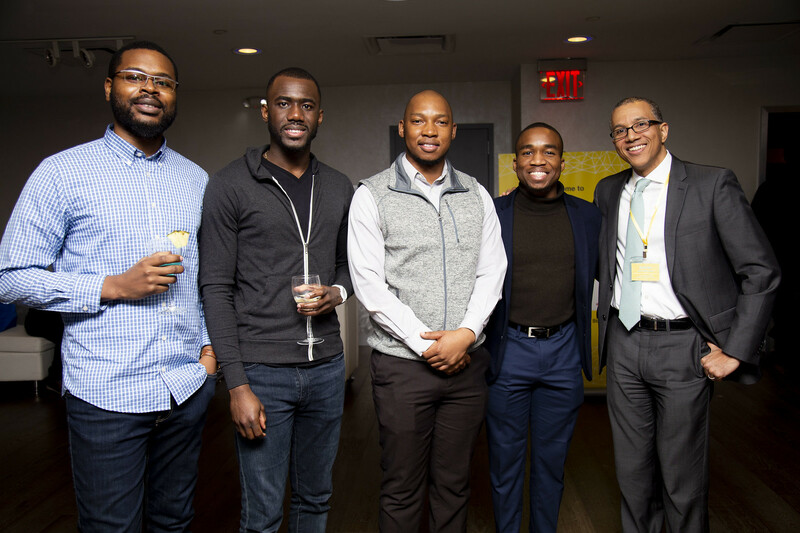 The organization’s goal is to close the tech entrepreneurship gap in the United States by developing a pipeline of diverse 21st century leaders. All Star Code was founded by Christina Lewis, award-winning journalist, and daughter of Loida Nicolas Lewis and Reginald F. Lewis, business legend and first African American billionaire.